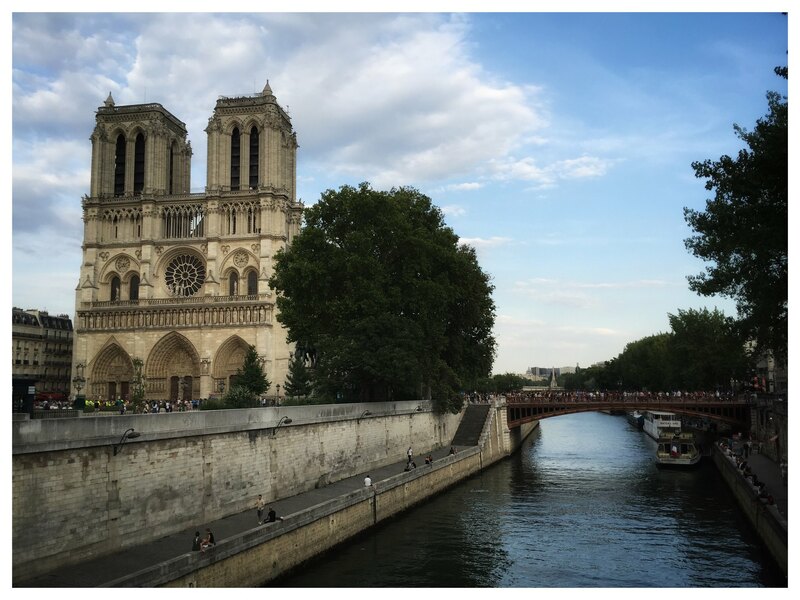 Just heartbreaking to witness 850 years of European history and cultural heritage gone in a matter of hours. 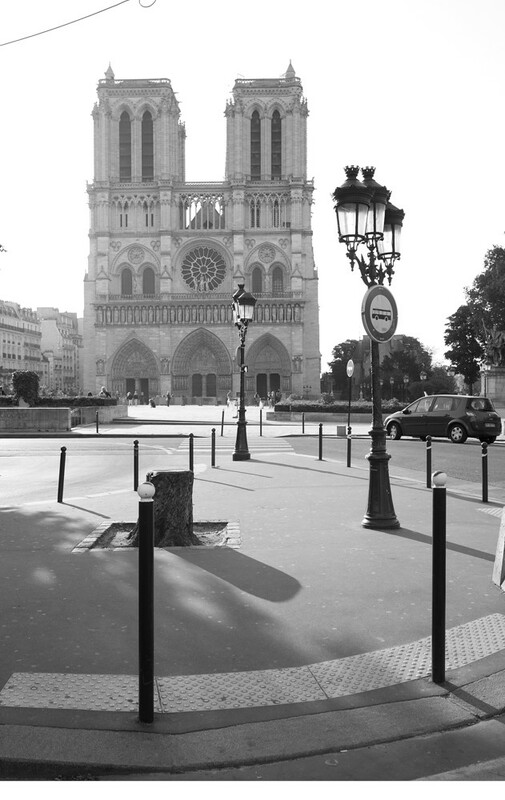 I am devastated for Paris, a city I know so well and regard as my own. Très triste. That’s easier said than done. In this case, vastly easier. Thanks for posting this. Beautiful. Yes very sad and I hope that if can be saved. Some of the historical artifacts will not be able to be replaced. This is very sad. I have slides if this magnificent church. The wooden roof and spire that were destroyed were added in the 19th century, but we'll have to see how much damage there was to the older parts of the cathedral. Paris was the first city that I moved to when I left America a long time ago. 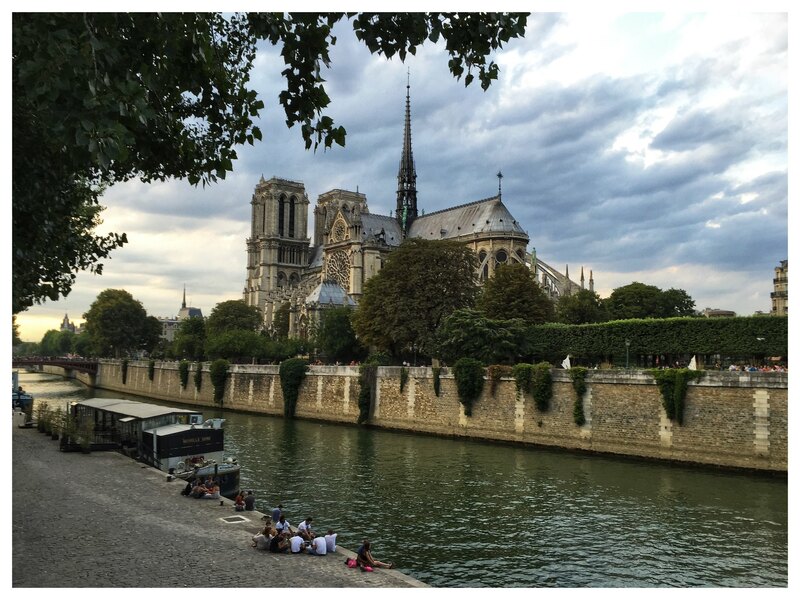 I worked at the famous bookstore, Shakespeare and Co. and Notre Dame was very special to me. I took this photo from the window that I had spent countless hours reading books, writing poetry and taking photos. Sad thing to have happened. But it will be restored as good or better than before. Reims cathedral was devastated in WW 1 but has been rebuilt. Words are empty. But sometimes they have a different name called faith. The building itself can be restored but many of the treasures inside are gone forever. Sadly, the water damage from putting out the fire will often do more damage than the fire itself. Remarkable shots, every one. I'm very glad we have them. It's been years since I broke down, but I was crying when the news came on CNN yesterday. 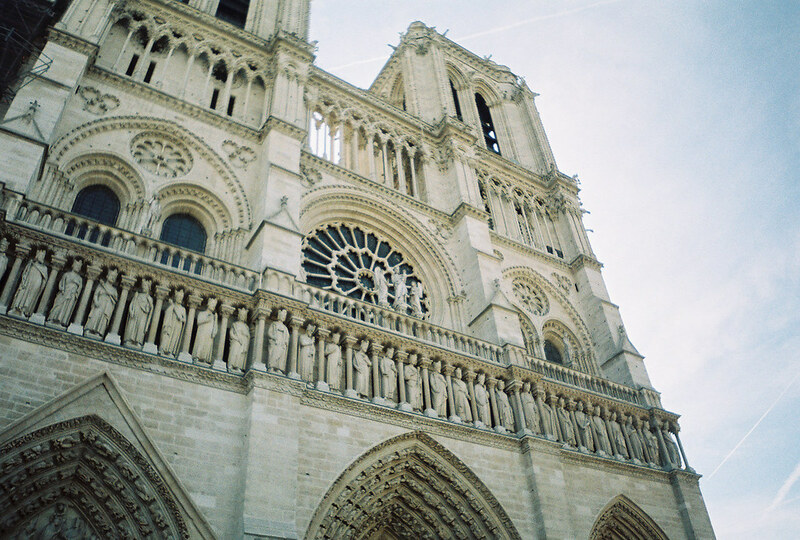 On the way to my Peace Corps assignment back in September 2003, we had layover in Paris. A few colleagues and I took a train from Charles de Gaulle airport to the city center. We only had a few hours to spend in the city, but we stopped here for a bit. Taken with an unknown point and shoot camera, with some unknown consumer film. Beautiful pictures on a sad day . 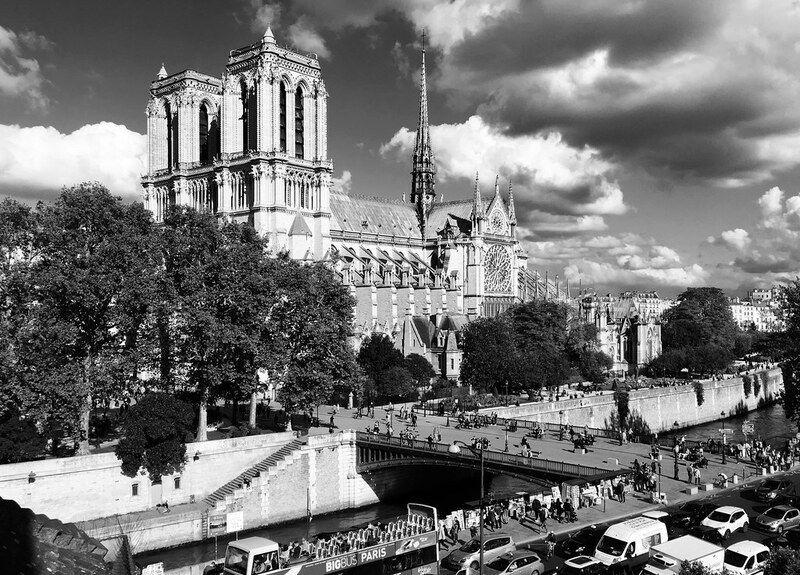 My Aunt called me this morning to tell me the news; she visited France in the 80s and saw the cathedral, although for some reason, she did not take any photos. Very, very sad indeed. 1968, may, I was I young boy scout (16), during a jamboree near Paris, I had opportunity to wander in the city with my beloved Instamatic 50. I hope next time they build it with fireproof materials. Well, here's the old girl in 1960. I hope she is rebuilt. Is this a sign that the Catholic Church needs to change? The decision makers can reconstruct the building but the institution needs to be rebuilt. The church leadership needs to institute change before it’s too late. I doubt they will. Rule No. 2 - No "Trolling"
2) You will not post any topic that disrupts the peace and harmony of this forum. Don't create meaningless threads with the sole purpose of starting a dispute. This includes messages in profiles, avatars, and signatures. You will not promote, belabor, or condemn any political or religious ideology during forum discussion. Lets keep religion out of this thread. It will be rebuilt. It will be made more secure against catastrophe. It will again be magnificent. 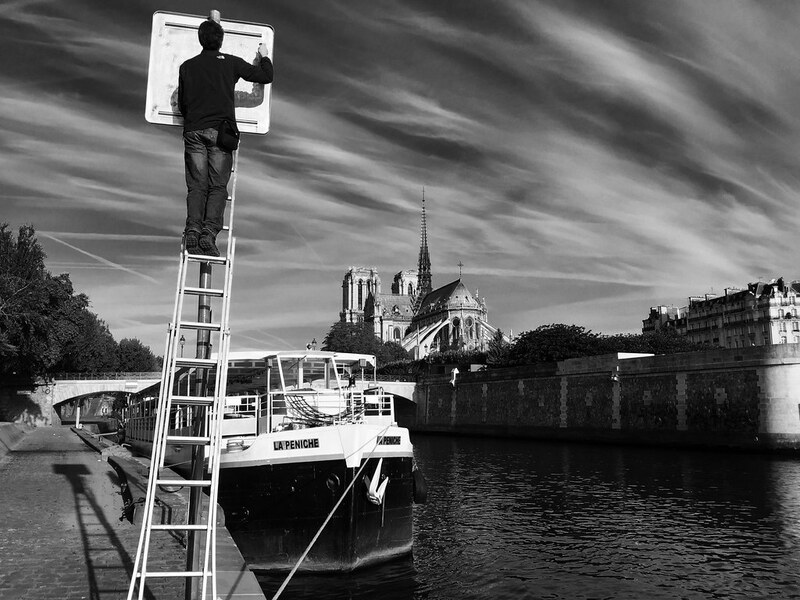 My colour photo above from 2014 makes Notre Dame seem so small and approachable. It is easy to understand the affection it commands. 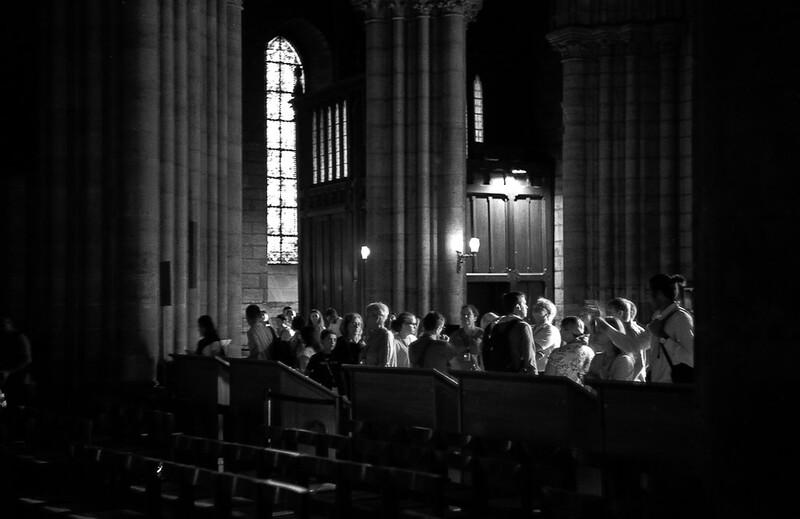 At a service years earlier, hearing Messiaen on the cathedral’s sublime organ, it was awe rather than affection that I felt. 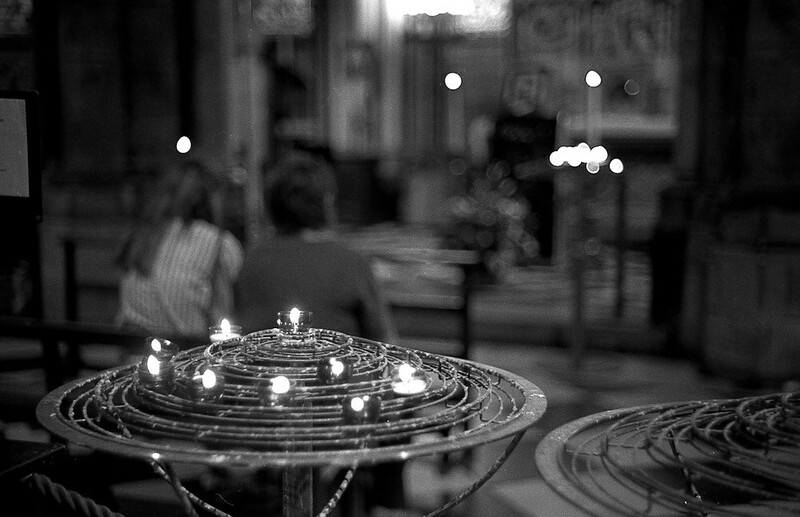 It is tempting to say that nobody died and it’s just an object, but hearing on television those crowds of people singing to Our Lady showed that it is all about hearts, and minds, and souls. Beautiful photos all! Thanks for sharing. Would love to see more. Then the entire thread should be deleted. What is that building about? And are you the forum owner or moderator? My thoughts exactly as I watched it burn last night. A great metaphor I think. Regarding comments about the church being 'gone', the basic structure has actually survived pretty much intact. Most old buildings change and adapt over time, and this one will be just the same. Everything changes and eventually dies. Buildings are no different. Some news agencies were claiming that the al-Aqsa mosque in Jerusalem was on fire at the same time as Notre Dame was on fire (what are the odds of that), but there is very little evidence for that other than a few doctored looking photos. Many strange things (Mid April/early September) happen during the months of the central point in the analemma figure (looks like the figure 8) of the yearly form the sun position in the eastern sky makes, if photographed everyday at the same time for a whole year. 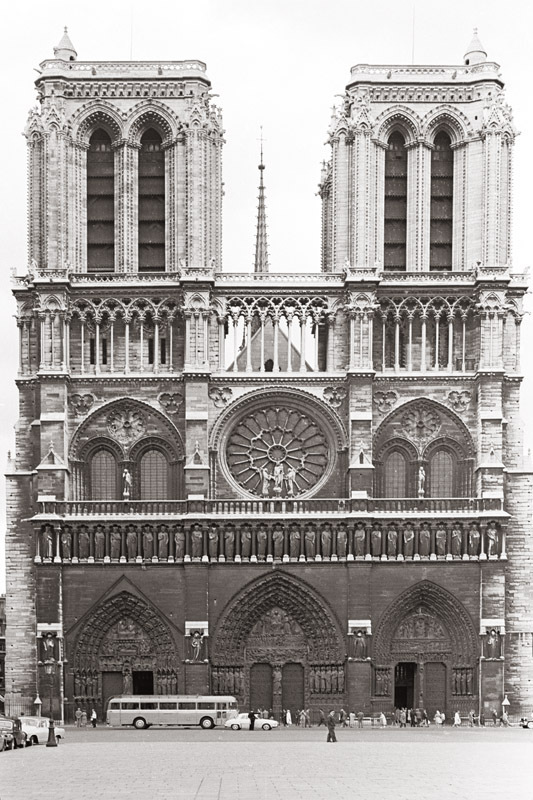 All the facile happy talk about the cathedral being “rebuilt” is going to seem a bit tone deaf to most of the people who have ever spent a significant amount of time inside Notre Dame, humbled by the magnificence of the edifice and awed by the level of achievement of a specific group of medieval men. Western civilization has not managed anything of that magnitude in five hundred years; most cultures have never been able to manage anything similar. The reason it gets 12 million visitors a year is that it offered a mostly intact look at a lost civilization, one not centered on plastics, Facebook, and petrochemicals. 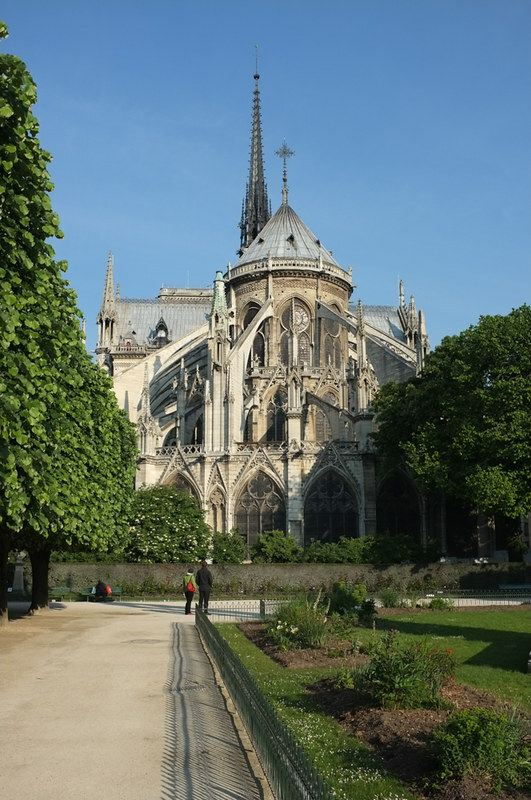 At any rate, the damage hasn’t even been assessed and cataloged yet, so, even though it is sure that “something” will be done, using the word “rebuilt” while the fire was still raging, implies a kind of philistinism which would put Notre Dame on the same esthetic level as a garden shed. Then there’s the problem of the Theseus’ Paradox, which accounts for some measure of the differing reactions, some people being on their knees crying, having had the wind knocked out of them, some people waving it off as a temporary and ultimately insignificant annoyance, then going back to their newspaper and croissant. “The ship wherein Theseus and the youth of Athens returned [from Crete] had thirty oars, and was preserved by the Athenians down even to the time of Demetrius Phalereus, for they took away the old planks as they decayed, putting in new and stronger timber in their place, insomuch that this ship became a standing example among the philosophers, for the logical question of things that grow; one side holding that the ship remained the same, and the other contending that it was not the same. The modern version of the Theseus’ Paradox is “George Washington's axe" (sometimes "my grandfather's axe") an apocryphal story of unknown origin in which the famous artifact is "still George Washington's axe" despite having had both its head and handle replaced. 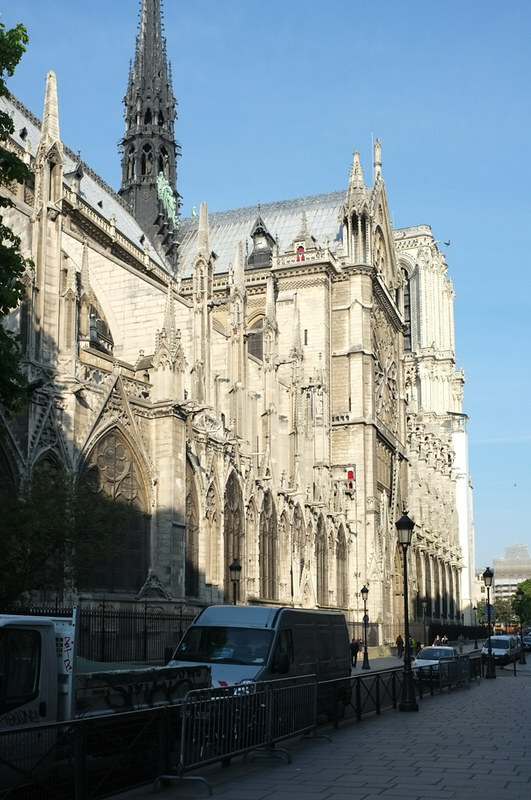 Having spent hours inside Notre Dame on multiple occasions, yesterday was a gutwrenching day for me, and though I know “something” will be done over the coming decades to “rebuild” it, even if it is only the roof which is replaced, the actual loss to humanity is, and will continue to be, incalculable. But, if one’s sensibility says “it’s just a building” then it will count as no great loss, and will be just “the same” in the future, like George Washington’s axe. The things that have been and are lost will never be thought lost to those who have never seen them, or, more accurately, experienced them. Some will care, some will not. It was ever thus. Wow. Thread deteriorating. 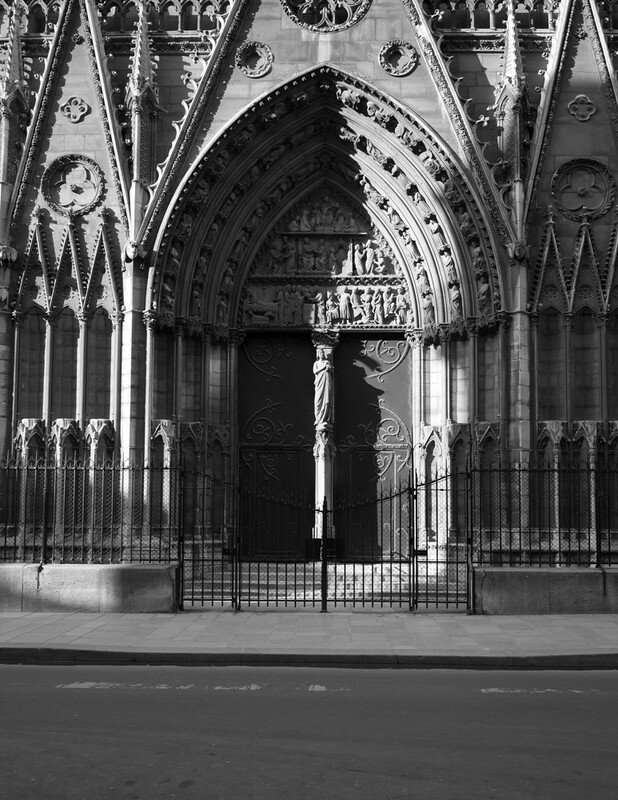 Much of the artisanal decoration of the cathedral had been removed for restoration. It's true we don't know the true extent of what was saved and what was lost. Accusing me of philistinism is pretty rich. Some people just can't enter into the spirit of the occasion. Maybe you're right: the thread should be deleted. We are really not up to playing nicely, obviously. 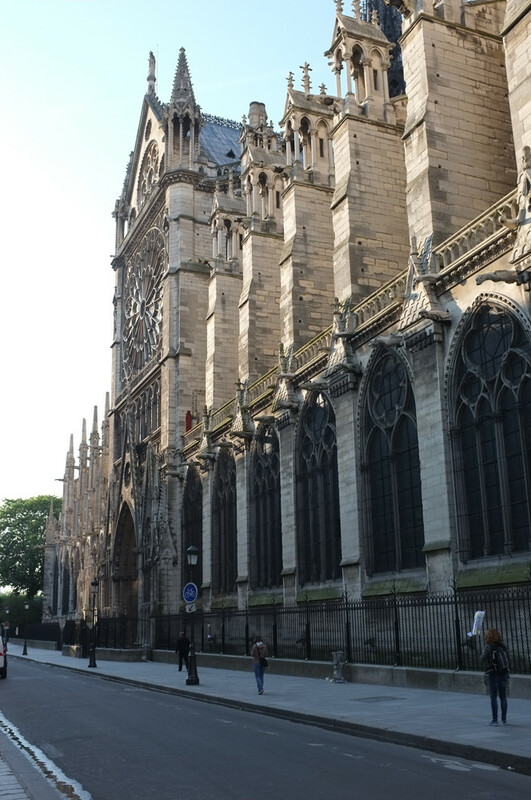 I was in the Notre Dame cathedral many times in 1977, a magnificent building no doubt and it has been restored on many occasions, including major roof restoration starting in 1844 and the work lasting for 20 years. 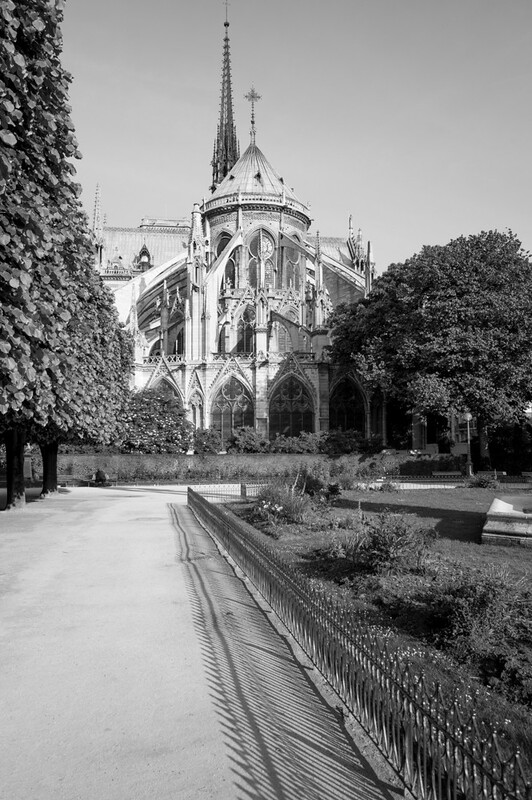 The magnificent cathedrals of Reims and Ypres were reduced to rubble during the Great War but they have been re-built to their former glory and then some. 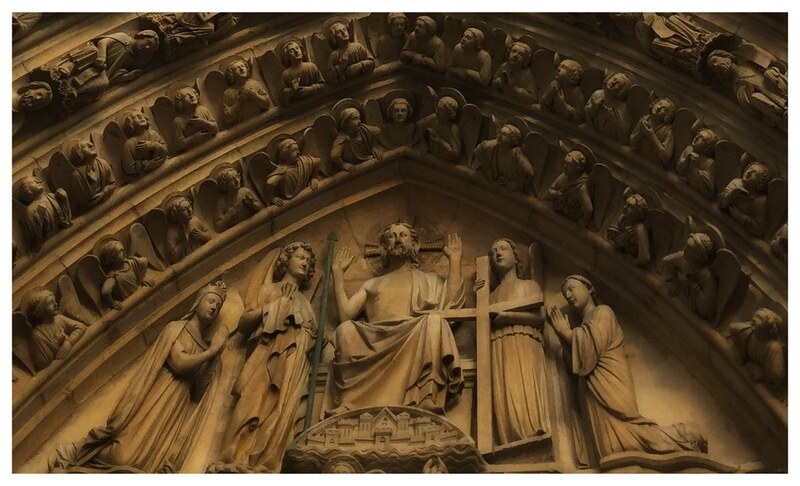 Check out some historic photos of these cathedrals just after WW 1 , heart breaking to look at, but re-built with medieval quality operative stone mason skill, including the elaborate stone carvings, to the original blueprint and form.. regardless. I was really impressed with all the beautiful stainglass windows. It was always full of people when I’ve been there. I remember on the outside the bible told in pictures made of stone as it was construced during a time when very few could read. I often have wondered what it would be like to be inside alone for a few hours? Oh well, many want to see it.